The dependable Air Max 95 arrives in yet another clean look done up by JD Sports. The euro-exclusive Air Max 95 runner utlizes suede, leather and mesh build over a classic Air Max 95 tooling. Cool grey brings the simple look to life throughout the entire upper, while game royal takes care of the collar lining, tongue, laces and Swoosh branding throughout. 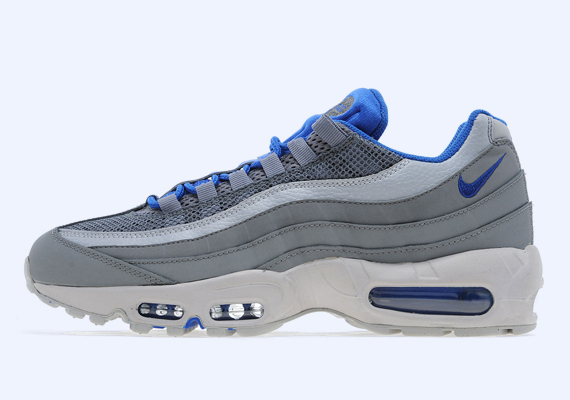 The Cool Grey/Game Royal Nike Air Max 95 is now available online via JD Sports.